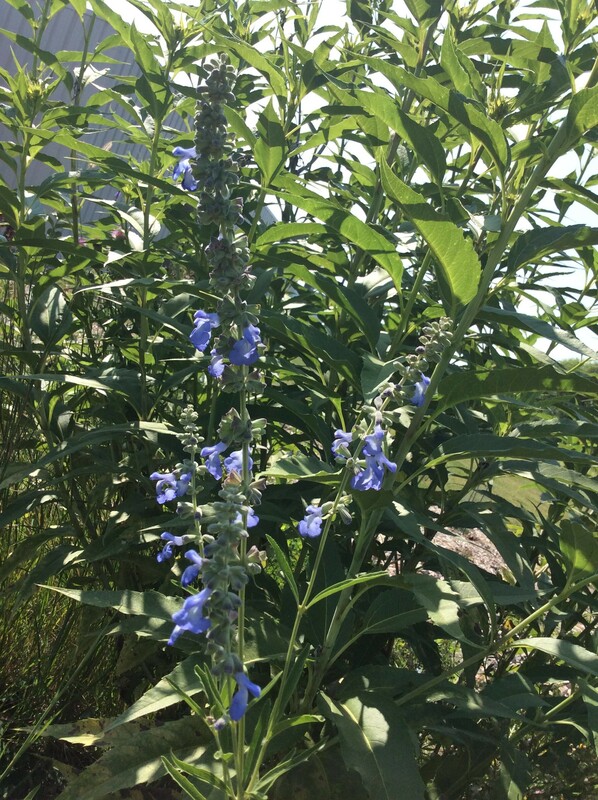 Pitcher’s sage (Salvia azurea) has been blooming in the habitat for a few weeks. It has an amazing blue color. This native perennial is in the mint family, but is not an aggressive spreader. The stems are tall and erect, with the plant reaching a height of 2-5 feet. Plant it in full sun. 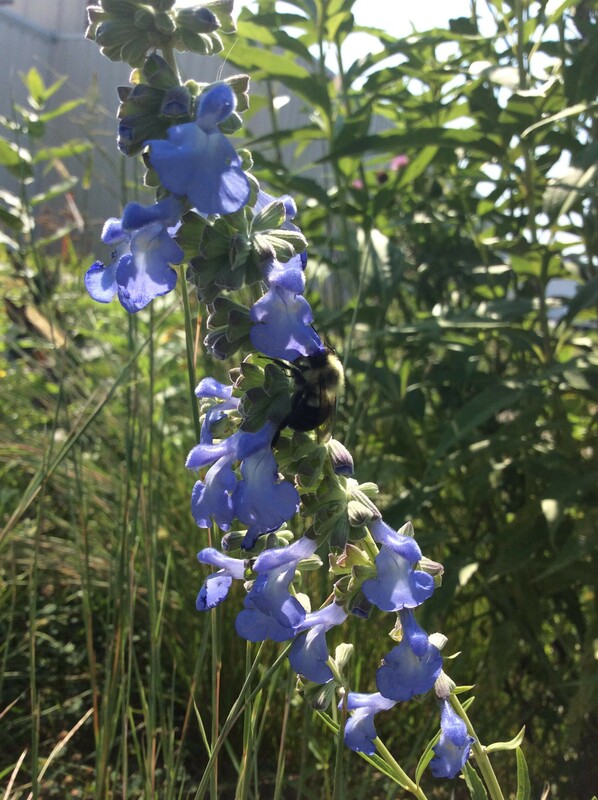 Nearly every day this month, I see bumble bees on the flowers of this plant. They love it and so will you. Pitcher’s sage in the Cherry Creek Habitat. ← Bees Need a Drink Too!